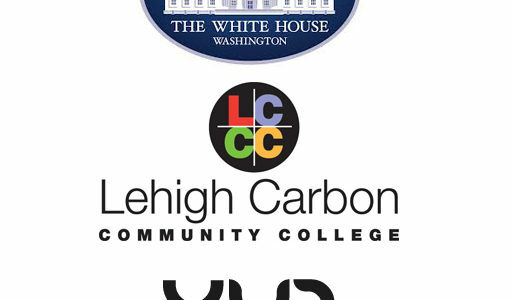 WXLV 90.3FM, the radio station of Lehigh Carbon Community College (LCCC), achieved the first-ever transmission to all video-enabled dissimilar mobile devices of President Obama’s visit on December 4th, 2009. In order to facilitate this, Harry Snodgrass, program director for WXLV enlisted the service of XYZMP3.com. The resulting convergence of media was facilitated by XYZMP3’s groundbreaking Digital Media Distribution Platform. XYZMP3 and WXLV are excited to have set the precedent and demonstrated the cutting edge in media delivery. The XYZ Platform acts as a digital-asset content management system and delivery network; including the ability to collect subscription or pay-per-view monies from consumers to delivering royalty payments and backend payment fulfillment to sellers. In addition, the platform allows for “end user specific” advertising opportunities as well as interactive advertising; allowing for direct sales of products to the end user through their preferred media device. The devices chosen for our wildly successful experiment were those with the widest consumer bases and the best built-in support for streaming video and audio, other than the traditional web streaming methods. XYZMP3 developed the applications and provided the delivery network and management system to stream to all the non-traditional devices as well as part of the main streaming feeds. WXLV’s website had over 400,000 hits during the broadcast. This effort was achieved with generous donations of time and support from the staff of XYZMP3, as well as the tiny LCCC Information Technology team and volunteers and students at WXLV. Time limitations of less then one week made this a monumental task, but due to the many hours put in by XYZMP3 and WXLV, the event was wildly successful. As far as our research has indicated, no one else has ever broadcast a live event, especially one as momentous as a Presidential speech, to all of these devices simultaneously. The overwhelming positive response confirms the public demand for expansion of traditional media to incorporate this type of technology. WXLV, LCCC, and XYZMP3 are proud to have led the charge of broadcasting all types of radio, news, and other programming on all types of multimedia devices. WXLV and LCCC consider our new partner for this event, XYZMP3, the leader in this field. Through the vision of both the college’s team leader Harry Snodgrass and XYZMP3’s CEO Roland De Leon, this event and marriage of technology became a reality. The large viewership was achieved by showing the functional IPhone stream to many of the press in attendance at the event. Their comments in social networking venues, blogs, Twitter and phone calls to others helped in spreading the word about our unprecedented accessibility. Also, XYZMP3, sent out a press release to 250 clients and bloggers. Due to the viral nature of the Internet, this created a tidal wave of viewers for the launch of President Obama’s White House to Main Street Tour. WXLV is the radio station of LCCC. Through the leadership of its program director Harry Snodgrass, WXLV has embraced the “Free Form” model of radio, allowing on air talent comprised of both students and community volunteers, to play the music they enjoy and can educate the public about. WXLV utilizes the appointment listening model, which allows listeners to hear the music they enjoy at the same time each week through local FM radio and streaming audio. WXLV and LCCC hope to continue expanding accessibility of broadcast media to local, national, and worldwide venues. According to Harry Snodgrass, “through convergence, which includes radio, multimedia and all other forms of broadcasting, it is our vision to take radio to the next level of interactivity and distribution, and become a leader in this new technology landscape.” WXLV and Harry Snodgrass can be reached at 610-799-1145 and at hsnodgrass@lccc.edu. XYZ is a leading, global provider of proprietary IP-based audio and video enablement technologies; including video-centric, interactive marketing solutions. Through its end-to-end platform, XYZ works closely with consumer brands, content providers, and telecommunication companies to maximize the value of media content delivered via the Internet, mobile networks, gaming consoles, IPTV set-top boxes, and digital media storage devices. The XYZ platform allows clients to publish, manage, and distribute digital audio and video content; as well as build online/mobile communities with integrated advertising and media sales. “The media distribution process to this point has been fragmented at its best and unmanageable at its worst. XYZMP3.com will bring all of the end points for media consumption under one umbrella; allowing the consumer to enjoy the content in their preferred medium.” explains Roland Deleon CEO of XYZMP3. The XYZ Digital Media Distribution Platform receives the data then prepares it for distribution in the needed format. The platform brings what was a multifaceted plan that often involved making choices at the expense of end users to a single, all-inclusive content server that serves everyone.